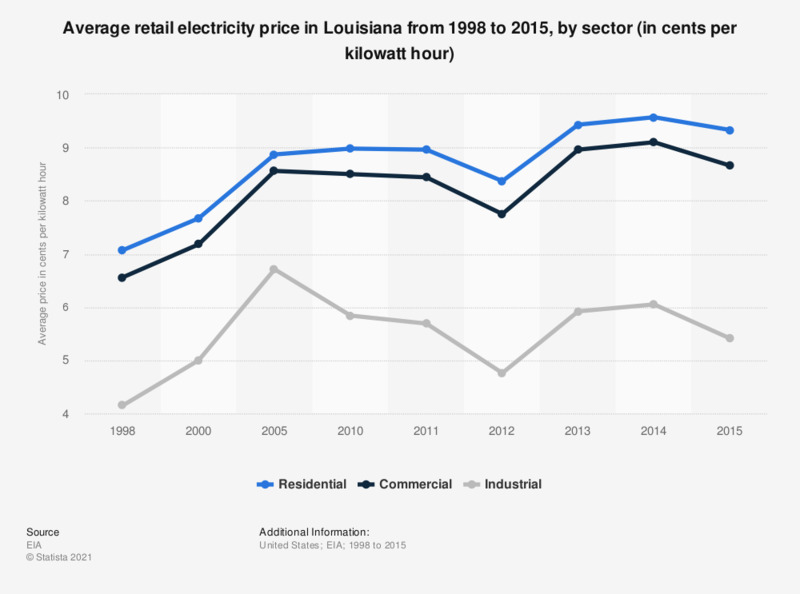 The statistic shows Louisiana's average retail price for electricity between 1998 and 2015, by sector. In 2015, the average retail price for electricity in the residential sector was 9.33 cents per kilowatt hour. A ranking of the global electricity prices in select countries can be found here. Figures were compiled from several editions of the publication.